MinuteDock allows you to track expenses and include them in your invoices when you bill your clients. 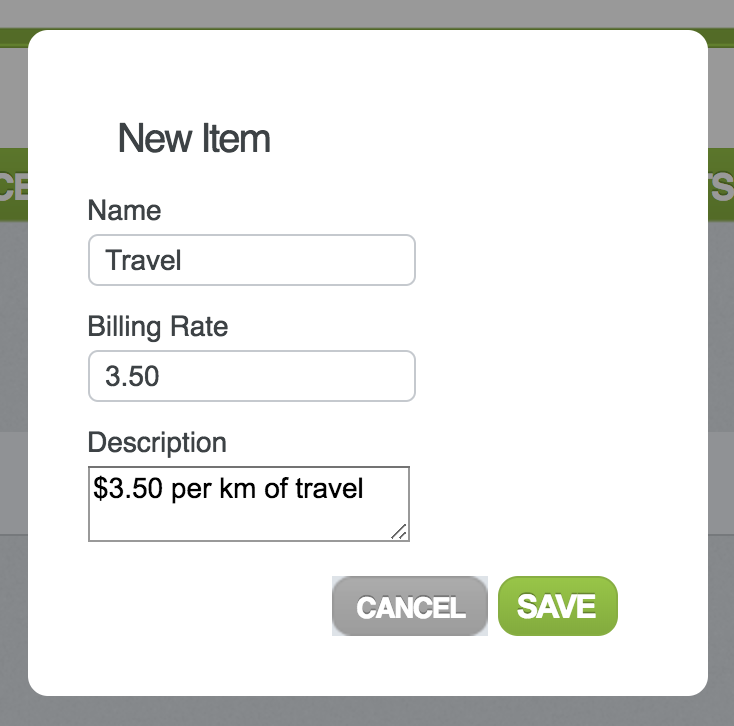 You can track either a ‘one-off’ expense with a monetary value, or choose from pre-priced items in your Items list. Select from your list of Items (see below on how to create an Item), or select a one off expense. Items will already have a billable value so you will be selecting the quantity of items to bill. A one off expense will be something that is not already in your items list and will require a billable amount. Save the expense by pressing [Enter] or clicking the tick icon. To delete an expense, click the delete button (the red ‘X’). Name your item and give it a billable amount. You can also include a description here if you’d like. Hit ‘Save’ to add the Item to your list.